New Testament - Amazing to read about the actions of Joseph of Arimathea and Nicodemus, two secret followers of Jesus on the Jewish council, in verses 38 through 40 - "Afterward Joseph of Arimathea, who had been a secret disciple of Jesus (because he feared the Jewish leaders), asked Pilate for permission to take Jesus' body down. When Pilate gave him permission, he came and took the body away. Nicodemus, the man who had come to Jesus at night, also came, bringing about seventy-five pounds of embalming ointment made from myrrh and aloes. Together they wrapped Jesus' body in a long linen cloth with the spices, as is the Jewish custom of burial." That is a beautiful scene - these 2 men. They were risking much to do this. They were risking this for Jesus. What about you and me? Would we have taken this type of risk back then? Would we take this type of risk even today? What might be a risk - for Jesus - that we could take but that we are not taking today? 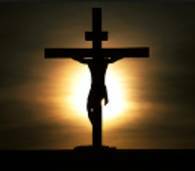 Bible.org's commentary on today's John readings titled "The Crucifixion" is at this link. Psalms - Psalm 119 is continuing with it's amazing verses about God's holy Word, the Bible, and how it can transform our lives. Verse 138 is just one more small example from this incredible Psalm - "Your decrees are perfect; they are entirely worthy of our trust." Do you believe that God's Word, the Bible, is perfect? Is it entirely worthy of our trust? I can't forget verse 130 which I have at the top of this blog in the NIV translation! "The unfolding of your words gives light..." Do you believe this is true? Does reading God's Word, the Bible, bring light into your life? If you did not read God's Word would you be in darkness?